Southwest based Empire Of Fools are set to release their latest single ‘Devil Inside’ on 15th February and due to it being such a brilliant sounding single, it also gets its debut on The New Rock Show on Planet Rock on Saturday 31st January from 10 pm. The song has already been played on numerous radio stations around the globe and has also been named as a Track of The Week by Classic Rock Magazine. Members Mark Pascall (Vocal/ Guitar/Bass), Steve Cobbin (Guitar) and Dean Stevens (Drums) are a band that have a been gaining a reputation for producing excellent music and their latest single ‘Devil Inside’ is a track that is so full of delicious sounding hooks and riffs over a powerful rhythm with vocals that soar in such a melodic way, that it doesn’t just blow away the January blues, it blows you away as well as to just how massive this track sounds. Having shared the stage with the likes of Status Quo, Thunder, Trapt, The Answer, The Darkness, BlackWolf, The Virginmarys and Reef, Empire Of Fools are also an impressive live act that bring with them a feeling of energy at every show they play. 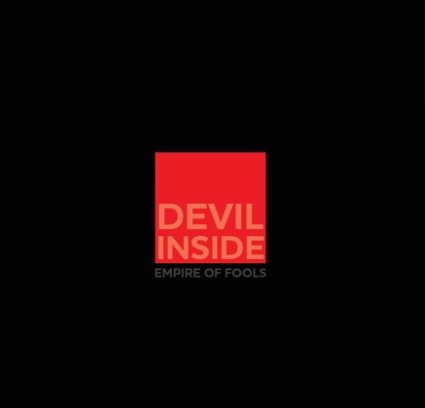 With one of the strongest sounding releases heard this year, Empire Of Fools are a band that are going to explode on to the music scene in 2015 and ‘Devil Inside’ is just the single to ensure they do.